Even in Windows File Explorer in the new Windows 10 you can activate the status bar to see some file information! Please do not expect any miracles from the File Explorer status bar, this has been reduced to a minimum of information in order to see it as before, for more info in the status bar you can use alternatives such as the Quad Explorer. But you can enable Details Panel to see more file and folder information. This example is also for MS Server 2012 and 2016! 1.) ... Enable the status bar in the File-Explorer! 2.) ... Does Internet Explorer have a status bar / menu bar? 1.) Enable the status bar in the File-Explorer! 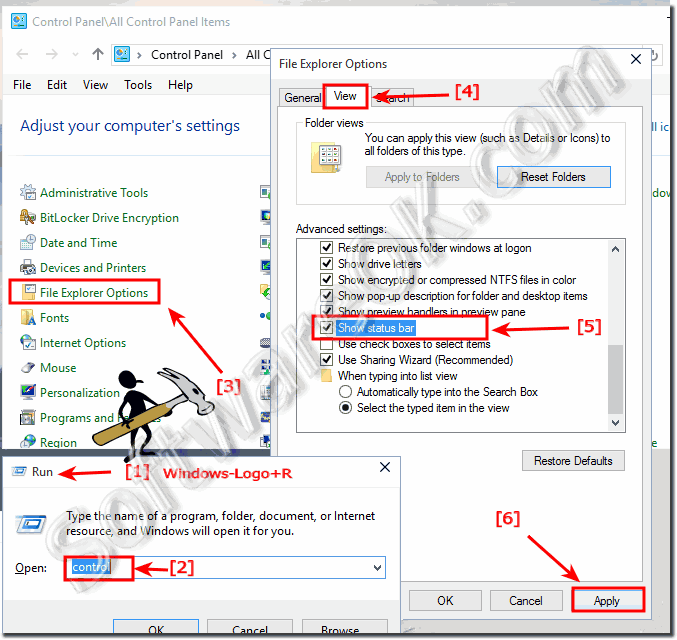 Please open through the Windows 10 Control Panel the Folder Options which are now called File Explorer Options. 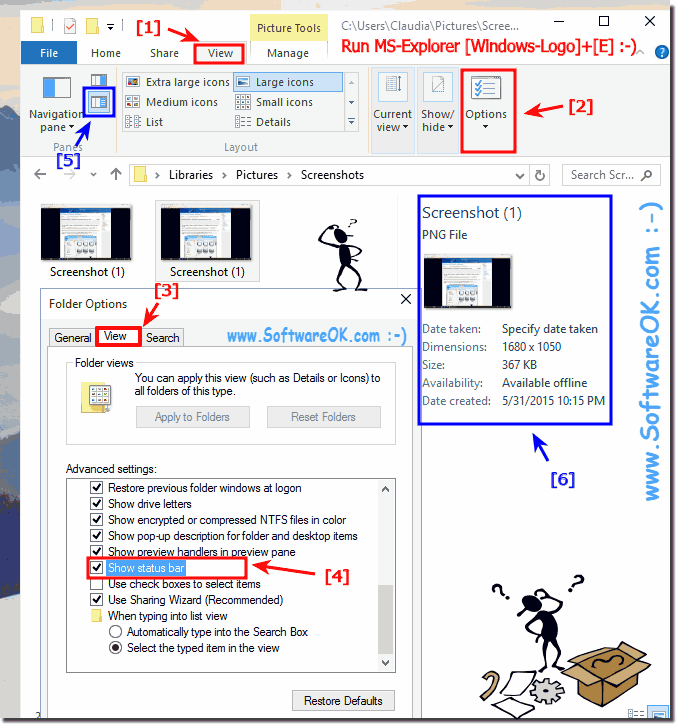 (Image-1) File Details in Windows 10 Explorer and Status-Bar! Advanced settings for files and folders! (Image-2) Windows-10 Status-Bar - File Explorer! 2.) Does Internet Explorer have a status bar? (Image-3) Windows 10 Internet-Explorer Status-Bar! Windows-10 - FAQ-69: Windows 10 Explorer has no status bar with file information, why?